Oral cavity cancer is often discovered late, and patients with this advanced form of disease have a five-year survival rate of just 40%. Researchers from the University of Colorado Denver (CU Denver) found that the lymph node ratio (LNR) provides an indication for the seriousness of this cancer. Researchers collected information from patients treated at UCHealth University of Colorado Hospital for locally advanced oral cavity cancer. 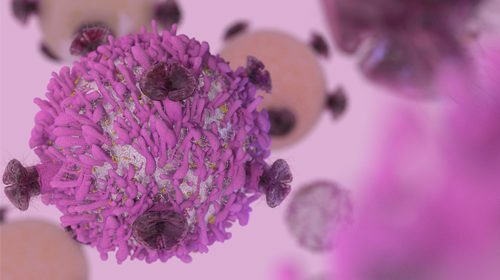 Ding Ding, first author of the study, said: “We wanted to know if features of these patients, their tumours or their treatment could predict survival”. One factor used to predict cancer risk is the extent of lymph node involvement: “The current nodal staging system for oral cavity cancer is based on the size, number, laterality and spread of the tumour outside the wall of the involved lymph nodes,” Ding explained. “In other types of cancers, such as breast cancer, researchers have been exploring another measure of lymph node involvement, namely whether the ratio of surgically removed lymph nodes that are positive for cancer can predict treatment outcomes”. Ding’s study participants had a median of 29 lymph nodes removed during surgery. About 9% of these tested positive for cancer. Some patients had an LNR above 10%, while others had an especially low or even zero LNR. Patients with an LNR greater than 10% had an over two times greater risk of cancer recurrence and of death than patients with an LNR below 10%. The study was published online in JAMA Otolaryngology – Head & Neck Surgery.